SUMMARY: For media companies that rely on listeners and viewers to influence advertising spots, consumer engagement is everything. 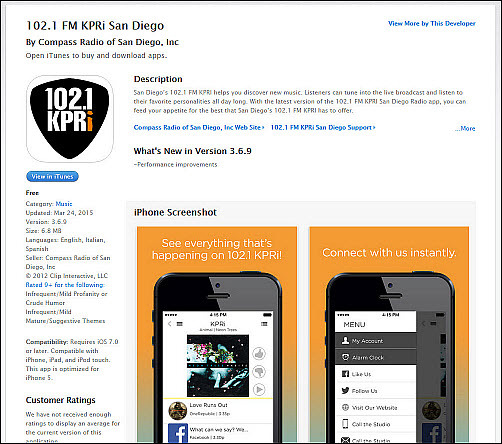 After KPRi, an independent radio station in San Diego, launched its app, the team saw a smaller weekend listener base than it wanted. By launching an app-based contest and utilizing a multichannel strategy for its promotion, KPRi was able to see a 56% increase in its app's engagement. Learn how the station employed this campaign and, in the process, developed a more in-depth understanding of its listener base. KPRi is an Adult Album Alternative radio station in San Diego, California. The station is the only independently owned and operated commercial station in the San Diego market and is owned by Compass Radio Group, Inc.
KPRi targets two different types of customers — the listening customer and the advertising customer. KPRi's programming is directed at the listening customer, but its revenue comes directly from sales and advertising. The station attempts to create programming that will appeal to the largest group of listeners possible to increase advertising and, as a result, revenue. "What we'll try to do in our advertising is we try to broker the relationship between our listeners and advertisers for the benefit of our advertisers and our listeners as well," Robert Hughes, CEO, Compass Radio Group of San Diego, said. "We think of ourselves actually as kind of introducing advertisers to listeners and getting listeners to understand what the advertisers have to offer that could make their lives better," he added. KPRi developed an interactive music app with its vendor, which gave the station a good amount of insight into its listener base. However, this app was not being used to its full advantage, and the station's monthly user rates were not where Hughes wanted them. While looking at data during a team meeting, Hughes noticed that listening rates during the weekend were especially low. The team started brainstorming ways to increase weekend engagement that would incorporate KPRi's app. "When we first became acquainted with [our vendor], we could see that they had some ground-breaking technology," he said. "It happened to be keyed right at what we saw was the biggest opportunity in the whole online marketing area, and that's the mobile field." To raise engagement and listening rates, the team developed the Thumbs Up Weekend campaign. By utilizing the station's interactive app, this campaign could also give the station direct feedback when it came to listening preferences from listeners. The campaign ran for two weekends, and the idea for this campaign worked well for what Hughes and his team thought was a big opportunity in the marketing area — the mobile field. This campaign utilized the rating system in KPRi's interactive app as well as listeners' interest in song details and had the added benefit of potentially increasing app users. Over the two weekends this promotion ran, listeners were asked to use the app to either vote songs up or down. To encourage participation, there was a $102 prize that was to be awarded via a random drawing, which acted as a branding opportunity for KPRi's 102.1 FM center frequency. The random winner would also receive a dollar for every song he or she voted on. The idea was to have people vote exclusively through the station's app, the activation of which requires users' names and email addresses. In this way the station was able to grow its database, gain direct feedback and increase user interaction, Hughes said. Through this campaign, KPRi was able to increase its app's engagement rate by 56%. 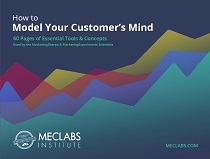 Learn how the station was able to increase user engagement to gain access to a more complete profile of its listeners by implementing a customer-centric approach. There are several radio apps on the market, so Hughes and his team needed a way to differentiate KPRi's app. To make that branding difference, they focused on the technological capabilities which allowed the app to be more interactive than its competitors. "The app and the technology really allows, for the first time, a radio station to be a two-way channel," Hughes said. "In particular, what we saw with this thumbs up, thumbs down feature that was integrated into the app, this was an opportunity for us to get real time, in the moment, in context feedback from listeners on the music that we play." Another major goal of this campaign was to familiarize listeners with the app. The team had made the app as easy to interact with as possible. Usability was an especially important focus during the development of KPRi's app, and this ease-of-use became an important component when it came to familiarizing users. "The goal that we had was to basically familiarize people with the capabilities of our mobile app and to give them the opportunity to have fun with us and to feel like they were actively affecting the programming with their feedback," he said. Prior to the Thumbs Up campaign, the station had already started promoting the app through on-air promotion and app-exclusive content and prizes, so KPRi's audience was familiar with the app. "One of the things that we did starting last fall was we created a campaign of about 30 different 10-second messages that focused on a feature of the app," Hughes said. Apps from most stations only allow users to stream the station from their phones. However, KPRi's app promotion campaign focused on the aspects that separated their app from their competitors'. "We have the thumbs up, thumbs down feature. We have a built in alarm clock that will wake you up by playing the radio station. We have the ability to post directly to our Facebook page or a Twitter tweet from the app or to call the studio directly from a link in the app," he said. One of the most important elements of this campaign, he added, is that KPRi has "so many things that make radio more interactive than just the ability to stream the station." Now that the team had decided on the contest format of the campaign and developed the most effective way to promote the app, it was time to start promoting the campaign through the station's own built-in traditional marketing channel — on-air broadcasts. KPRi found another built-in resource in Hughes. Based on recognition studies the station conducted, Hughes is one of the most recognized and liked personalities on KPRi. Though he did not receive drastically higher scores than other personalities, the station used Hughes' high ranking to its advantage. "The on-air spots were pretty simple," Hughes said. "I voice them. I'm one of the owners of the station here, and I'm also an on-air show host, so my name and my function here at the station are pretty well known to listeners." It's KPRi Thumps up Weekend. 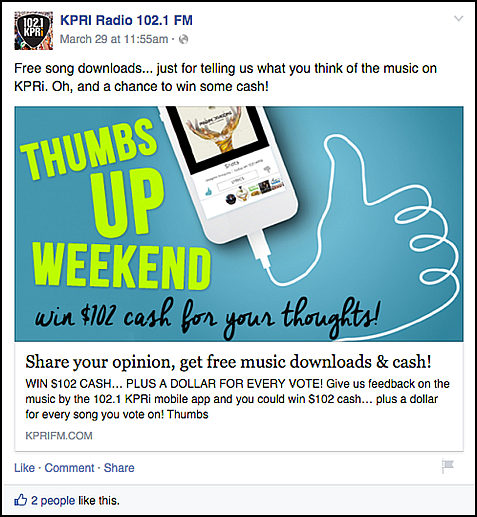 Give us feedback on the music by using the KPRi mobile app and you could win $102 cash, plus a dollar a song every song you vote on, thumbs up or thumbs down. We want to know what you think, so get KPRi mobile app free with your App Store and start voting. Vote on as many songs as you like. One vote per song. We'll pick winners at random and then also Monday morning at 8:10. All of the hosts that were on during this campaign ran similar promotions in their own words. There was also a series of spots that focused on listeners' good taste in music, which served a twofold purpose. 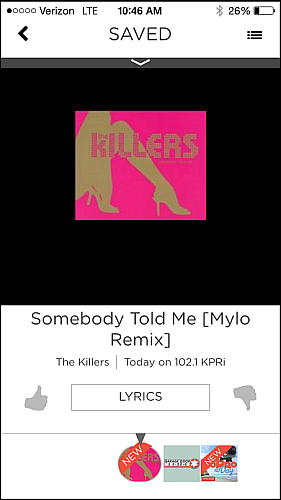 It promoted the app by highlighting its voting capabilities, and it encouraged users to give KPRi the music feedback the station wanted. These spots ran several times an hour during the two weekends of the Thumbs Up campaign. Hughes described the on-air interactions, explaining, " … maybe posing in the question, 'Here's the new song from Imagine Dragons. I wonder what you think about this? Well, thumps up or thumbs down on the mobile app.'" Promotion for the Thumbs Up Weekend was not limited to on-air spots. The station also utilized digital channels to increase app engagement, including in-app promotions, a social media strategy and Web advertising. When users downloaded the KPRi app while the campaign was running, they would see a graphic pin at the top of the content feed. This pin advertised the Thumbs Up Weekend and explained how they could vote in. Thanks to KPRi's vendor, the station was also able to provide free song downloads through the app as an additional bonus. "When people went to the app to vote, they would find that there was a song that they could download for free," Hughes said. During the campaign's first weekend, there was not enough information on scale to influence the station's song selection. "But after the first weekend, we were able to pick the songs based upon which ones got the most votes," he said. As for the Thumbs Up Weekend's social strategy, the campaign was promoted through KPRi's Facebook and Twitter accounts. However, the campaign was not promoted forcefully on these channels due to audience trends Hughes had noticed. "Basically, what we did was we called attention to the fact that it was a Thumbs up Weekend, and I invited people to participate," Hughes said. According to Hughes, the station's Facebook fans were identifying promotions and not rewarding the station as much for these posts. "That's just one of the things that [you've] got to deal with in the course of running a radio station and [part of] dealing with social media is that the rules are always changing," he said. In reference to the amount of engagement the campaign received via social, Hughes said, "It's not the highest reach we've ever achieved, but it wasn't bad … Basically what we're [trying] to do is we try to post it often enough that the message gets out and not so often it's annoying." 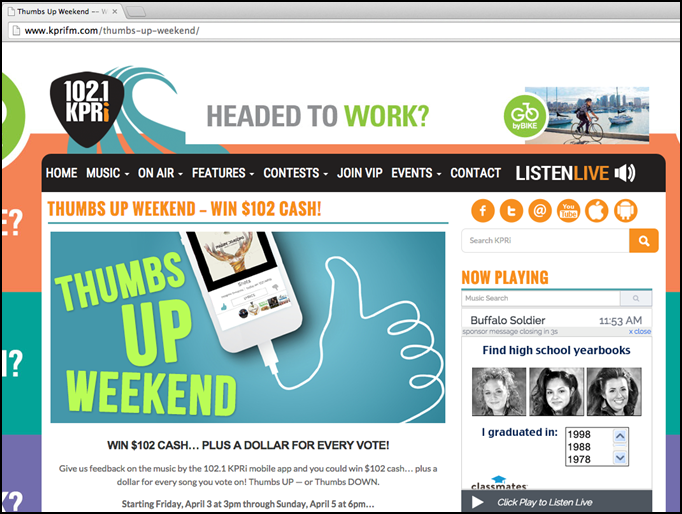 The Thumbs Up Weekend was also featured on KPRi's website, specifically in the slider feature on the homepage. This slider features several rotating slides. "You put it in as one of those rotating slides, so it was one of the first things that you'd see when you come to kpifm.com," Hughes said. One of the most surprising aspects of this campaign was connected to the feedback the team received. Based on listener surveys the station had conducted, the team estimated that 78-80% of KPRi's listener base have smartphones and a smaller number have tablets. However, when the Thumbs Up Weekend started, the team received emails from listeners with non-smartphones who felt left out. Separately from these complaints, KPRi had been working with its vendor to create a desktop streaming player that had the same features as the app. When the team saw these complaints, they decided to accelerate the deployment of the desktop version. Within a week, the station was able to deploy its desktop version. "Basically, you can now participate on your desktop computer in the same way that you would participate on your phone or on your tablet, using the same device in terms of look and feel and the same features," Hughes said. As a result of this early deployment, KPRi added 1,600 users for the Web player and the usership of the app increased dramatically. This was all due to the addition of the desktop player, Hughes said. "We've listened and learned the idea ... it's really the consumer who chooses the platform and the way in which they want to interact with content," he said. "Our job is to make that content available to them in a way that they can choose to use no matter what the device, no matter where they are." By implementing the Thumbs Up Weekend campaign, KPRi saw a 56% increase in engagement on its app over just two weekends. The team also saw a 5% increase in the app's open rate. However, the most important result the station discovered from this effort had little to do with rates and everything to do with demographics. Radio advertisements are sold on the estimates based on a sample of listeners. These estimates and the sample come from the Nielsen Company, which conducts ratings using a personal portable meter system. In San Diego, roughly 1,200 to 1,300 people are recruited to be part of the Neilson panel from which the company derives radio ratings. "That's 1300 people total carrying meters, measuring radio listening on behalf of three million individuals who live in San Diego," Hughes explained. Whenever Nielsen gives a company data, it is actually giving a station estimates, not precise demographics and day parts of a radio schedule. However, the data KPRi received from its app is not based on estimates. They are, as Hughes describes them, " … dead, flat, accurate counts of actual activity." Using the estimates KPRi receives from Nielsen partnered with the exact points of data the app provides has given the station greater insight into its audience. "We can get it down to male, female. We can get it down to age. We can get it down to zip code," Hughes said. "For example, our radio stations delivered audience typically has been adults 25 to 54, with a concentration in the 35 plus demographic, and it's been heavier female than male. That's exactly what the data we get from [our app] shows as far as participation with the various promotions and content, things that we've done with them." Through the Thumbs Up Weekend campaign, the station's app and other campaigns ran with KPRi's agency, the station is able to see a participant base that is larger than the installed meter base from which Nielsen derives its radio ratings for the entire market. "To say that in another way, we have more people participating with us than the entire group of people who are participating with Nielsen from which they derive the radio ratings for a $150 million industry," Hughes said. "By the way, that's not a knock on Nielsen, but it's not the only database we look at," he added. "We don't think it's the only database that an advertiser should look at either."